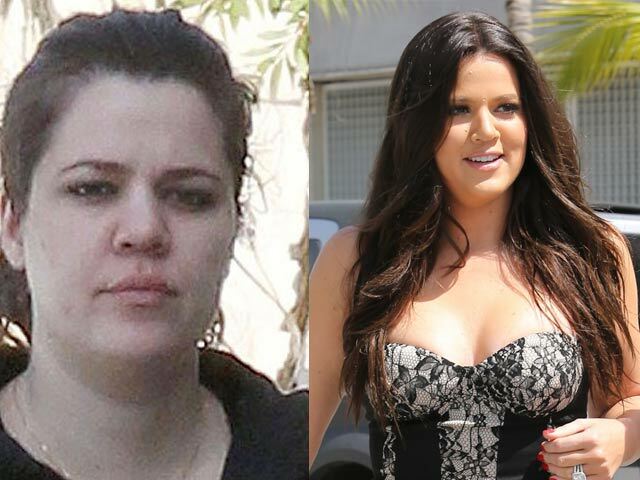 Khloe Kardashian is a natural beauty, possibly more so than any other Kardashian woman (yes, including Kim). She’s not afraid to be photographed without a stitch of makeup on, as she goes about her day. That being said, she can also glam it up with the best of them, and newly published photos show just how incredible her transformation can be! Tabloids follow Khloe Kardashian wherever she goes, so it’s understandable that from time to time, pictures of her makeup-free and dressed in sweats will surface. Regardless of how she’s dressed, Khloe almost always manages at least a smile and a small wave to the paparazzi. Sometimes, even when a woman isn’t all decked out, a gorgeous smile can make all the difference! On Thursday, Khloe Kardashian was photographed as she hit the gym for a workout. She had on her standard workout wear, and wore dark sunglasses to cover her bare face. The look was not entirely flattering. Just hours later, however, Khloe K. surfaced in Miami as an entirely different creature: She was glammed out from head to toe, wearing a stunningly figure-hugging strapless dress. Her hair was flowing, her makeup was flawless and her skin seemed to glow (this is what a little makeup and some spray tanning will do). Kim Kardashian Gets Pregnancy Advice from Who?! Is Kim Kardashian a Vampire?